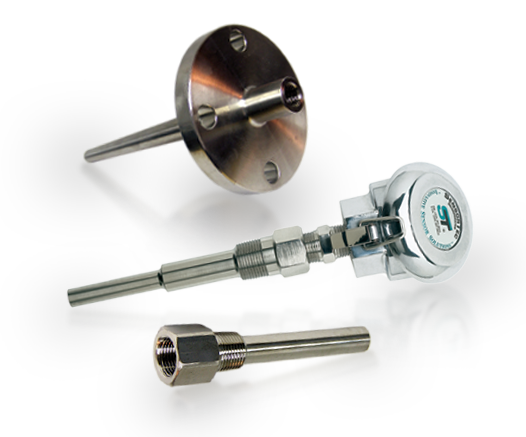 SensorTec offers a complete line of thermocouple and RTD thermowell assemblies and thermowells. Whether you are looking for thermowell assemblies for a large industrial project or a few replacement units, SensorTec can meet your requirements. Standard well materials are 304 stainless steel, 316 stainless steel, brass and carbon steel. Several custom well materials and configurations are available. Contact SensorTec for details.